We’re getting closer to the Living Land Kickstarter, so here’s one more content preview for now, this time on some of the members of the Delphi Council. Very soon, we’ll start talking about reward levels and stretch goals. 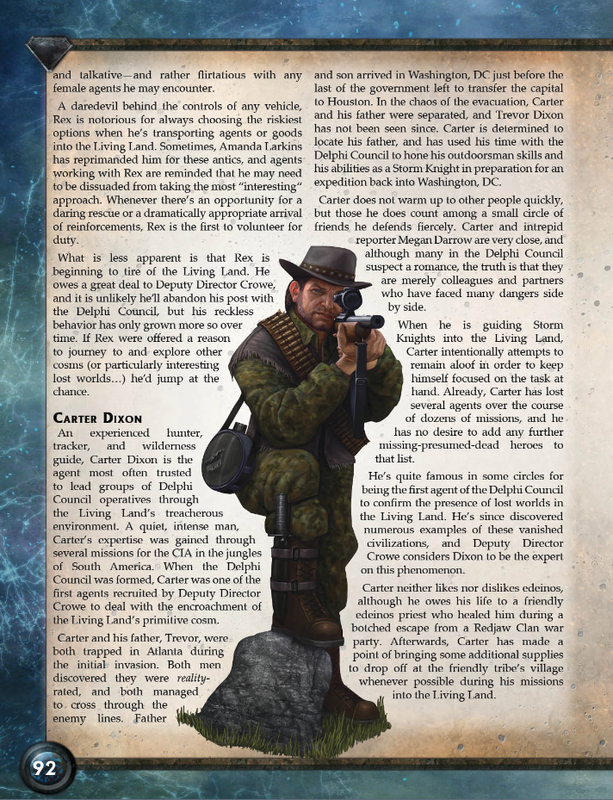 During the Torg Eternity Kickstarter, several backers had the opportunity to create characters who would be part of the Delphi Council, and two of those characters are highlighted in the Living Land Sourcebook: Professor Thomas Kaine (Michael Dymond) and Dr. William Linear (C. Randall Newton). Although these characters were introduced at the back of the Torg Eternity Corebook, they’re given a bit more detail here. Dr. Linear is a paleontologist from another cosm destroyed by Baruk Kaah, while Professor Kaine is an “acquisition specialist” with a particularly strong hatred for the Gaunt Man. If you have any questions or would like to discuss this preview, head on over to our forums! 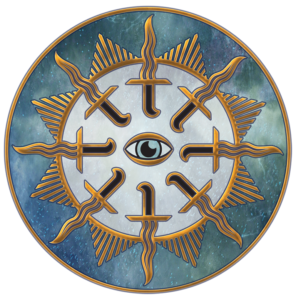 Can you guys post the other Cosm icons, like the Delphi Council one? 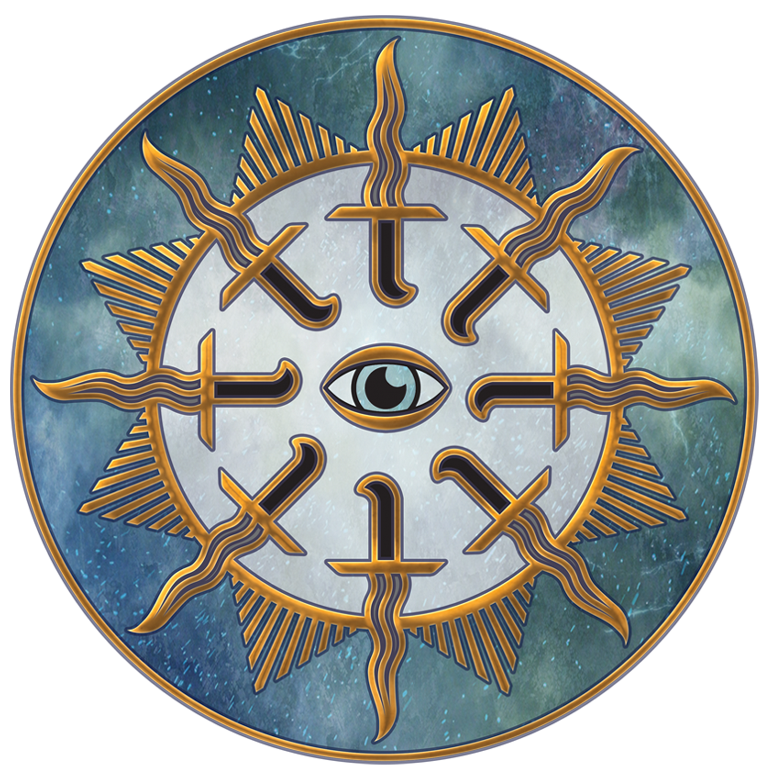 The details on the Cosm Cards preview is a little blurry.